Go to a drug store and pick up a beauty product. The chances are high that whatever you pick might contain aloe vera in one form or another. That shouldn’t be a surprise because the benefits of aloe vera have been known for centuries. However, if you have never used aloe vera before you must be wondering what all that fuss is about. Then don’t stop reading to discover what the benefits of aloe vera are. Aloe vera has been used as a medicine to treat skin and hair conditions for more years than you can imagine. That’s because it’s rich in vitamins and minerals and it has potent anti-bacterial and anti-inflammatory properties. In most cases, aloe vera is safe to use and doesn’t have any adverse effects. However, some people do have an allergic reaction to this plant. So if you plan on using it, I recommend that you do a patch test beforehand to ensure that your skin won’t react to it. Now, let’s see what you can use aloe vera for. Healthy hair is the pride and beauty of every woman. However, women often have to fight dandruff, dry scalp, and damaged hair follicles to enjoy a lustrous and shiny hair. Well, aloe vera can help you. Aloe vera is great for hair because it contains vitamins A, C, and E in addition to folic acid and B12. So, aloe vera promotes the growth of new cells and repairs the damaged ones. In other words, it helps the hair follicles grow healthy and curbs hair falling. In addition to this, thanks to its anti-bacterial and anti-inflammatory properties, aloe vera soothes the scalp when it’s irritated. What’s more, it might be useful for treating dandruff because of its antifungal and antiviral properties. And since it’s a superb moisturizing agent, it will hydrate your scalp and prevent it from flaking. So, next time give your hair a rinse with one of these aloe vera remedies for healthy hair. It has happened to everyone. You fall asleep on the beach and wake up an aching mess. Well, aloe vera is what you need to deal with the pain and inflammation when you burn your skin. Aloe vera contains glycoprotein and polysaccharides. They are useful for reducing inflammation and promoting healthy skin growth. In addition to this, aloe vera is a great moisturizing agent. And a lot of moisture is what a burnt skin needs to heal. Simply freeze some aloe vera gel in the fridge and apply the ice cubes on the burnt areas. You’d start to feel relief very soon. Natures own first aid-naturally anti-bacterial, anti-viral and anti-fungal! Fluid consistency means more aloe for you! Has a pimple appeared in the most unfortunate time? Then aloe vera can help you deal with acne quickly and efficiently. Why is that? As I already mentioned, aloe vera promotes the growth of healthy skin because it’s full of vitamins with strong antioxidant properties. Moreover, the anti-inflammatory properties reduce the inflammation while the anti-bacterial effect keeps the bacteria out of the acne wounds. Not to mention that soothes the itching and the irritation caused by pimples. 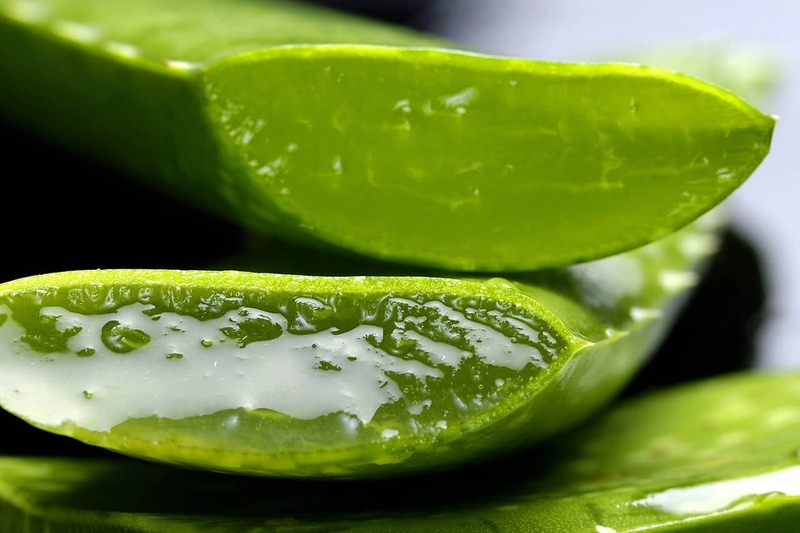 What’s more, aloe vera might be helping in prevent acne from breaking out because it has an astringent effect and remove the excess oil from the skin. Just dab some aloe vera paste on the pimple, and you’re ready to face the world the next day. Since aloe vera promotes the growth of healthy skin cells, it’s an excellent remedy for dealing with scars. If you apply it on healing would, it will speed up the healing and strengthen the skin’s collagen. In addition to this, the antibacterial and anti-inflammatory effect of the plan will keep bacteria and debris out of the wound. So, you won’t have to worry about infections. What’s more, aloe vera will keep your skin moist until it heals. Have you got problems with dry skin? Then you don’t have to look at anything but aloe vera. Since the gel consists mostly of water, it’s the best natural moisturizer you can find. Apply it regularly and said goodbye to dry skin. What’s more, it’s perfect for all skin types because it doesn’t leave an oily residue. And unlike commercial moisturizers, it doesn’t stay atop the skin, but it gets absorbed quickly. In addition to this, it keeps the pH balance of your skin and hair. 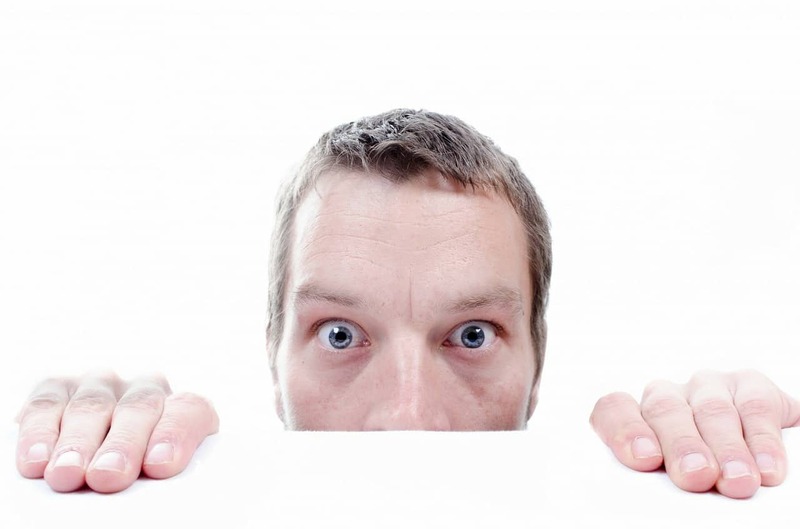 Nobody wants to wake up and see wrinkles in the mirror. Fortunately, aloe vera can help you in this regard because it can slow down the aging process. As I already mentioned, aloe vera gets absorbed really quickly through the pores. So, all the nutrients and vitamins nourish the skin directly and promote the regeneration of new cells. In addition to this, aloe vera has anti-oxidant properties, so it destroys those free radicals which damage cells and which are responsible for wrinkles. If you have problems with dark spots, which you wish to remove, you can try aloe vera. It works on two fronts. First, aloe vera is an excellent exfoliant, which removes the build-up of dead skin cells and reveals the healthy skin beneath. Second, it reduces the production of pigmentation because it contains vitamin E.
You are aware that leaving your makeup for the night is a terrible idea. So, you can use aloe vera to remove your makeup instead of commercial cleaning products, which might irritate the sensitive skin of your face. In addition to this, as I already pointed out, aloe vera contains a bunch of vitamins and nutrients that will nourish your skin and rejuvenate it while you’re sleeping. Moreover, you can prepare makeup removal wipes with aloe vera easily. Just follow this recipe. Rich moisture moist protects skin from harmful external environments. You know how your skin sometimes feels on fire after you scrub it with an exfoliant. Well, aloe vera can help you with that. Thanks to its moisturizing effect, it soothes the irritation and reduces the inflammation. So, it’s ideal for people with sensitive skin. What’s more, aloe vera is not oily, so it won’t clog your pores so that you can use it even for oily skin. Do your gums bleed when you brush them? Then you might have a problem with your teeth. Fortunately, aloe vera might be the solution you’re looking for. It can reduce the bleeding and the swelling of the gums. We shouldn’t also forget that it has potent antibacterial and antiseptic properties, so it’s useful for fighting mouth bacteria. 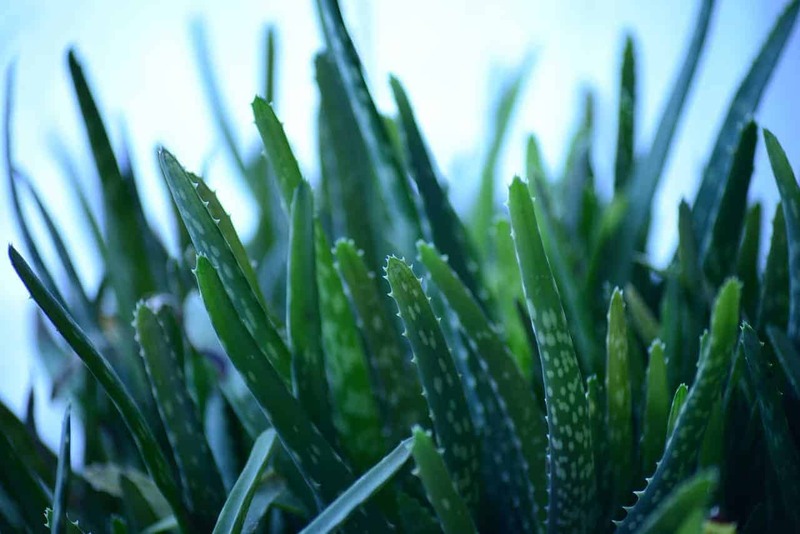 Finally, aloe vera has some benefits when you take it internally. It aids digestion and has a laxative effect. You can use it to relieve discomfort and bloating caused by IBS syndrome. Studies in the field showed that aloe vera juice has a positive effect on constipation and stomach pain. However, more research is needed to confirm the aloe vera usefulness for treating IBS. As you can see, aloe vera can help you in your daily struggle to remind young and beautiful. However, for maximum efficiency, you have to extract the gel from the leaves by yourselves or buy a pure aloe vera gel with no added chemicals. What do you think about these 11 benefits of aloe vera? 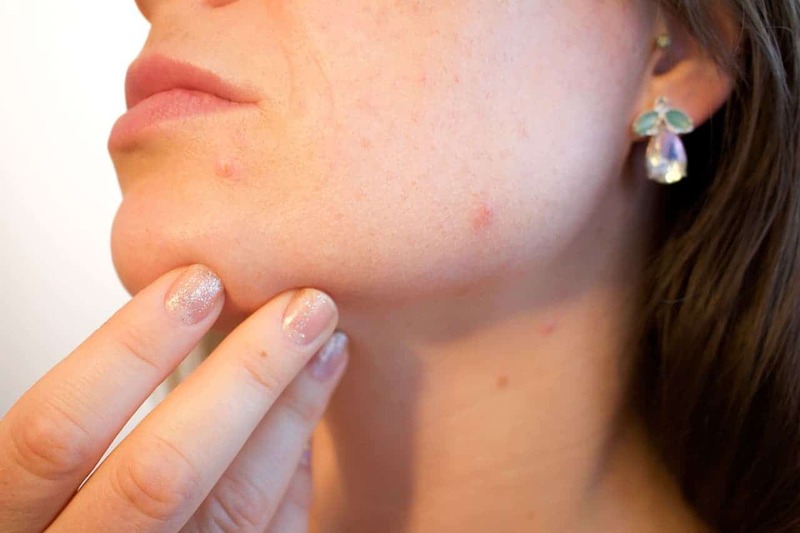 Have you ever used it to treat a skin condition? Then, please, share your recipe in the comment section.